This event has been canceled due to the weather. 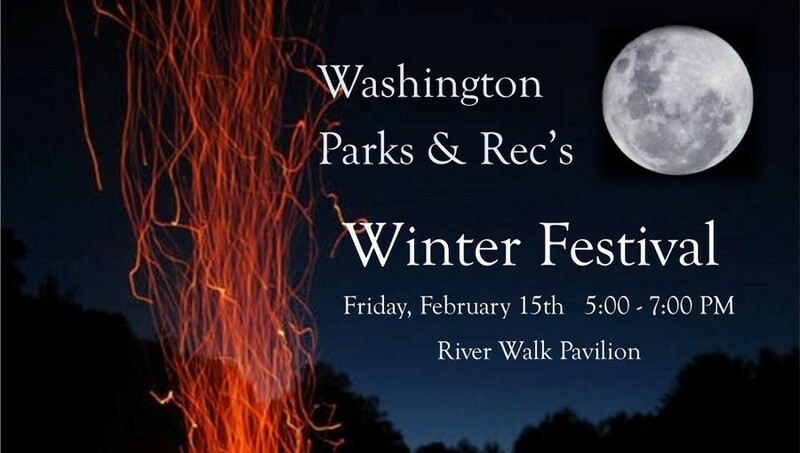 Join us at the River Walk Pavilion for an casual gathering on Friday, February 15th from 5-7pm. With a near full moon, it will be a great time to enjoy a crisp, hopefully clear night with friends and family. There will be several fire pits going so staying warm won’t be a problem. Justin and the Washington Depot branch of National Iron Bank will be close by with all the fixings you’ll need to make some s’mores too! Hot Cocoa will also be available! Consider this a winter picnic. Bring some snacks, beverages and even a chair to sit around the fire. Relax and enjoy the evening. And finally, if we actually have any snow this year, Sportsmen’s will be on site with free snowshoe tutorials and walks. Do you have your own snowshoes or cross country skis? With a near full moon, it would be a great night to trek around the walking path and then warm up by the fire with some cocoa.